During the winter, it might be so cold that all you want to do is crank up the heat high and all day. But that is just a waste of energy, not to mention your money! This is where a central heating timer comes in handy. But what do they do and how do you operate them? These questions and more will be answered in this guide. But first things first: how much do they cost? A central heating timer is not the same as an ordinary thermostat or dial. A timer can be categorised as either a programmer, programmable thermostat, or smart thermostat since all of these have the timer function. If you are thinking of buying a central heating thermostat, here are the average prices. We have also included the prices of a few models. 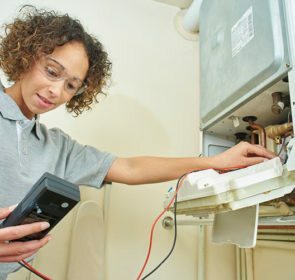 Got questions for a heating professional? Then use our free request form to get in touch with up to 5 companies at once. It takes just 1 minute to complete and you are able to choose at your own pace. You’re able to get a second, third, even fifth opinion on your questions about using a central heating timer. And if you decide to purchase one, you’ll even be able to compare prices and get up to 40% off! So what exactly does a central heating timer do? 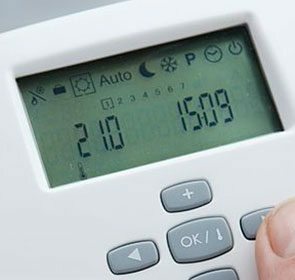 A central heating timer does what it says on the tin—it sets the times of when your central heating is on and off. Most timers have 2 sets of switches: 1 for heating in the morning and another for the evening. The timer will also often let you set a target temperature for when your heating is on. An important thing to note is that timers differ from central heating thermostats in their function. Timers are only capable of turning your central heating on or off during your designated times. Thermostats switch your heating on when it senses that the temperature in your house falls below the set threshold. Some central heating timers are analogue or digital. Analog timers mean you have to use a set of switches, pins, and buttons to determine your heating settings. Digital timers come with a display screen that you control with buttons. Even though there are differences between analogue and digital timers, the concept behind the two are the same. 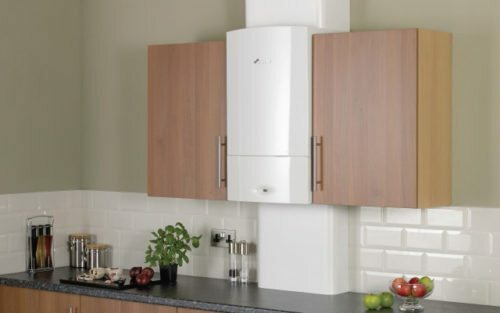 You designate times you want your boiler to fire up to provide heating. After the boiler switches on, the average home takes around 30 minutes to heat up. Because of this, you want to have your boiler turn on about 30 minutes before you wake up in the morning and then before you leave the house. For example, if you normally wake up at 7:00 am, then you want to set your timer so that your central heating turns on at 6:30 am. And if you leave for work at 8:30 am, set your heating to turn off at 8:00 am. If you arrive home at 6:00 pm, your heating should turn on again at 5:30 pm. Later in the night, you should then set your timer so that the heating shuts off around half an hour before you go to bed. 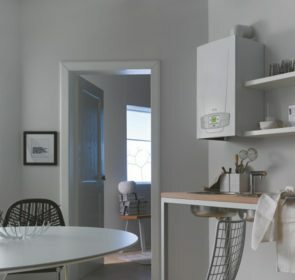 In homes with conventional or system boilers, the central heating timer also determines the times when water is heated and stored in your hot water cylinder. 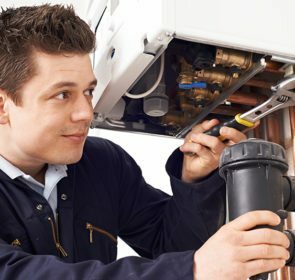 If you have a combi boiler, hot water timing is not necessary since it will heat water on demand. Aside from the timer switches, there are several other settings that change depending on your timer model. Of course, for more accurate operating instructions, you should read the manual for the specific central heating timer model that you have your eye on. Alternatively, ask a heating professional to help you. With a central heating timer that you have properly set, you won’t have to do much to enjoy a warm and comfortable home. You just choose the times your central heating will turn on and off according to your daily schedule, then go about your day. 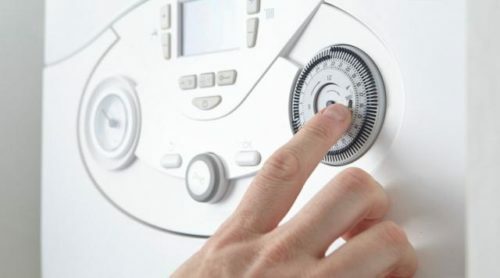 There is no need to worry about manually turning your heating on and off as long as you have set your timer correctly. Also, since most timers have the option to set different times for weekdays and weekends, it is even easier to stay warm when you do stay at home more. 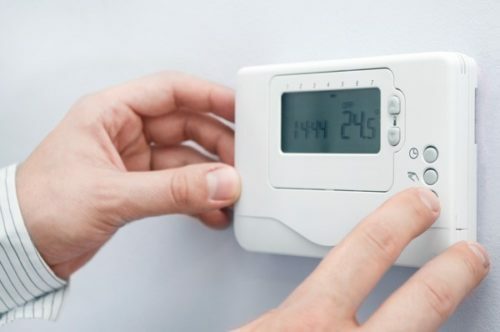 Additionally, having your heating controlled by a timer will save you a lot of money. This is because you are able to automatically shut off your heating during the day when you leave the house or simply don’t need space heating. With insulation, your home will warm up much more quickly and cool down more slowly. This increased efficiency means you can have your heating turn on later and shut off earlier, saving even more energy and money. Contact multiple companies and save 40%! 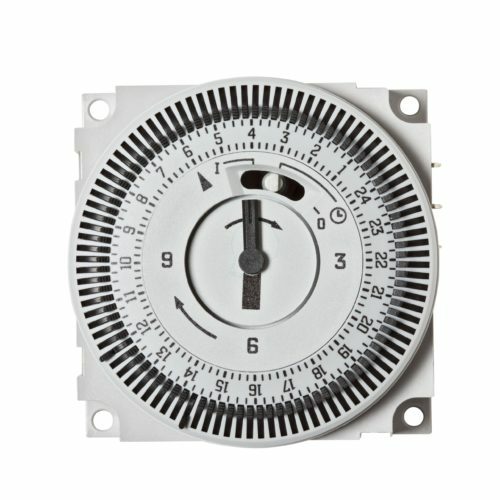 Wondering about how to install a central heating timer? Or simply want to ask a few questions about how to set everything? Then it’s time to reach out to heating engineers in your area. Fill in our form and get in touch with up to 5 companies. You will be able to ask anything you want, compare their products and services, and even save 40% if you purchase a timer.